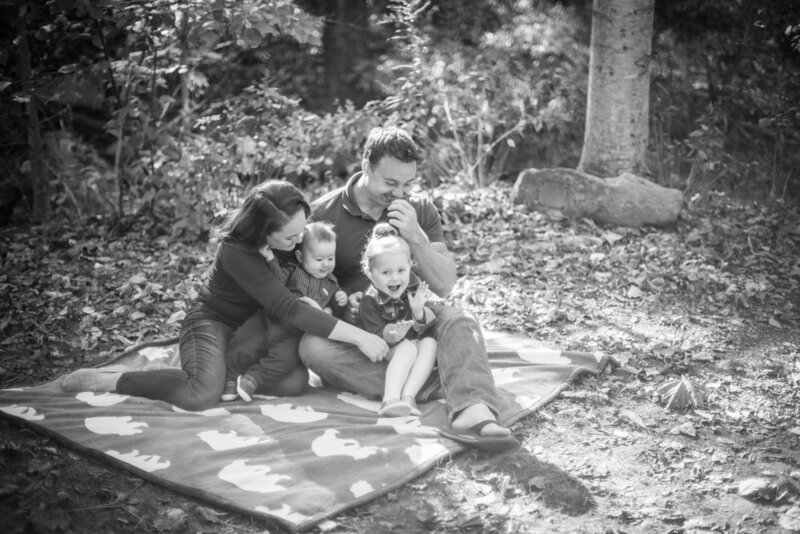 This was one of the last families I photographed before the leaves officially fell off the trees! I was so happy to squeeze in one more family before the color left! This family has a special place in my heart - I’ve been able to photograph them two years in a row now. Their kids are just about the exact ages of my kids so I can always relate. Although, I can’t get my Piper to let me put her hair up like Courtney got Sam to do! Photographing at the Botanical Gardens in Asheville is one of my favorite locations. It’s perfect for families with littles because as we all know, little ones can’t always make it to the “golden hour” before they get cranky. The Botanical Gardens has plenty of shady spots and beautiful backdrops to get photos at and it’s an easy spot to walk around in!